Florals are hot this season! Everything from delicate pink roses to vintage inspired daisies in vibrant colors. Just take it from Rachel Bilson. She looks stunning on the cover of April's Lucky Magazine. 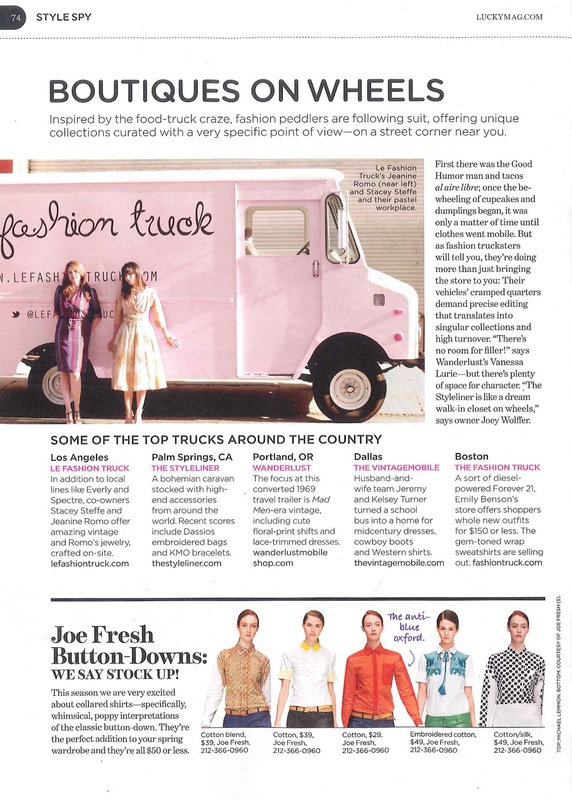 Le Fashion Truck is very excited to be one of the featured "Boutiques on Wheels." 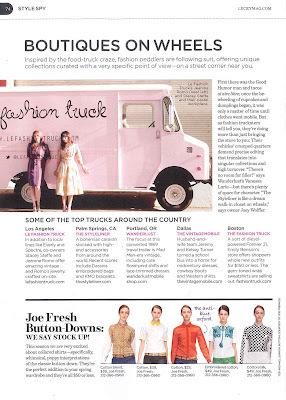 If you're not in Los Angeles and want to shop us, visit our online boutique, shop florals and other spring trends here!